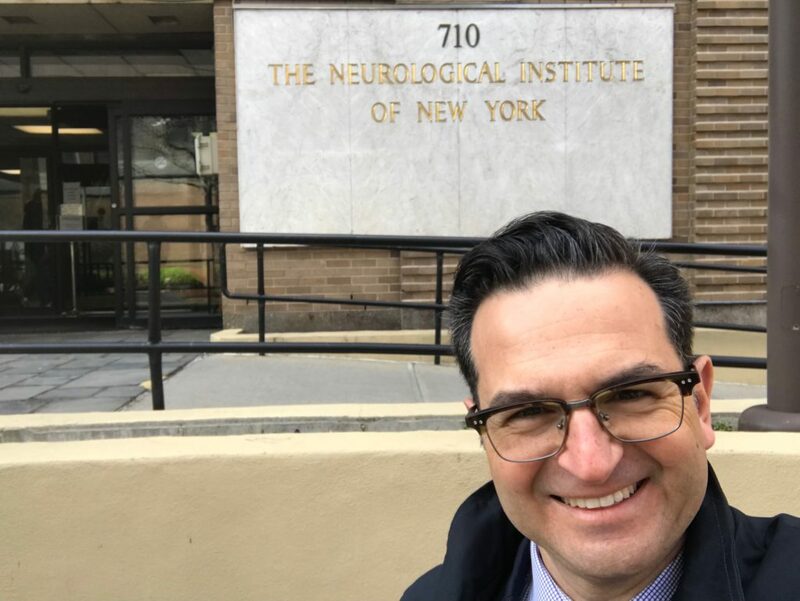 Neurologist Dr Paul Silberstein has just returned from New York, USA, where he visited and shared experience with DBS colleagues at Columbia University and New York University Hospitals. Dr Silberstein also attended Cornell University where he viewed Exablate, the MRI guided High Intensity Focussed Ultrasound (MgFUS or HIFU) device. HIFU is a technique whereby a targetted lesion is made to the brain using an external focussed ultrasound beam. In essential tremor, HIFU is used to interrupt brain tremor circuitry. HIFU is already approved for essential tremor in the USA and is under evaluation in Parkinson’s disease (PD) and dystonia, where it may have a future role in the management of patients where symptoms predominantly affect one side of the body.